Being a Fisheries Officer can be a rewarding and challenging career, especially if you enjoy working in the outdoors and in an enforcement role. A Fisheries Officer's main role is to ensure compliance with the Fisheries Act and Regulations. These regulations ensure that our fisheries resources are managed sustainably and shared equitably by the community. Fisheries Officers also participate in public education and awareness programs around the state to help foster a greater awareness of fisheries resources and the need for their protection. Fisheries Officers are trained to carry out a wide range of duties - on land, at sea and on inland waterways. On any given day they could be conducting inspections of recreational fishers on a local pier, participating in an education program at a local school, undertaking surveillance work or boarding a commercial fishing vessel at sea. They also work closely with other agencies such as Victoria Police or Parks Victoria when necessary. Self-assessment questions – Is this the career for me? Do you love working in the outdoors? Do you have a passion for the environment and the need for its protection? Are you willing to live and work in a Victorian regional location? Are you willing to work various shifts including nights, weekends, public holidays and school holidays? Are you willing to work over a wide variety of terrains, at sea or on inland waterways for extended periods of time in all weather conditions? Are you prepared to carry handcuffs, a baton and Capsicum spray and to use these if required to protect yourself, your colleagues or the public? Are you prepared to undertake an 8-10 week live-in recruit training program involving intensive learning, physical activity and assessments with other new recruits? Do you have the self-confidence to be assertive when dealing with an aggressive or abusive person? Are you an honest person who respects the law and do you have a high level of ethical standards? Are you able to deal with people in a respectful and professional manner? At the Victorian Fisheries Authority, we recognise that diversity creates a stronger, more efficient and more effective organisation. All of our employees bring different varied knowledge, skills and experience with them to the VFA, which is why we are working at further diversifying our workforce. Working for an organisation that values women in enforcement roles and provides support to women fisheries officers. 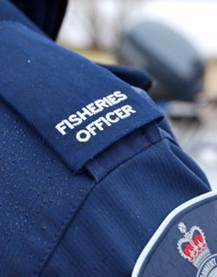 What duties do Fisheries Officers perform? 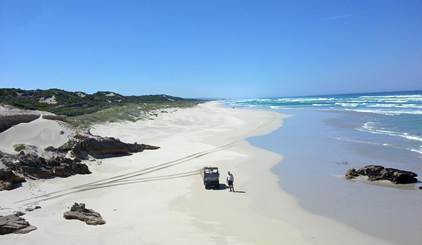 Operate four-wheel drive vehicles and a range of different vessels including kayaks or small punts through to large sea going vessels. Assisting with the delivery of education programs to angling clubs, schools, multicultural groups and other forums through informative talks and practical fishing sessions. Because of this diverse range of responsibilities, Fisheries Officers are multi-skilled. They have a strong understanding of all aspects of fishing and a familiarity with complex State and Commonwealth laws associated with commercial and recreational fishing. In addition, Fisheries Officers must effectively communicate their legislative knowledge to the community and fishing industry. Where do Fisheries Officers work? 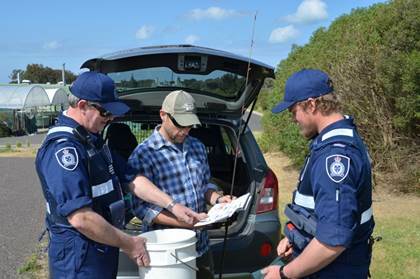 Fisheries Officers work in a variety of environments across Victoria and sometimes interstate near the border. They could be required to work on remote rivers in the northwest to isolated coastline in the east. 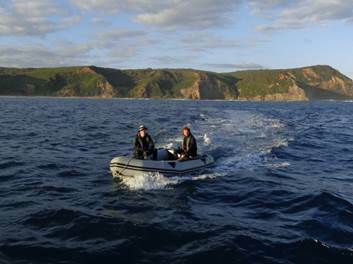 Officers may be required to operate vessels in lakes, rivers, bays and inlets or in offshore areas along Victoria's vast coastline. 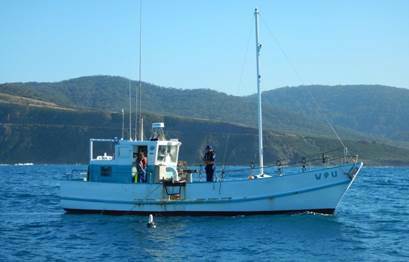 Each office is equipped with appropriate vessels and vehicles that assist fisheries officers in patrolling their region. Fisheries officers may be required to transfer to various locations across Victoria throughout their careers. The Victorian Fisheries Authority provides opportunities for fisheries officers to move between stations when vacancies exist or to undertake short term secondments at different stations. 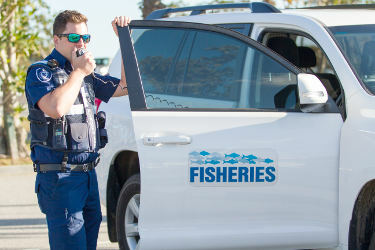 Fisheries Officers develop a unique skill set which gives them flexibility to move within the various groups of the Victorian Fisheries Authority in areas such as education, policy, licensing, offence management, commercial and recreational fisheries management, intelligence management and investigations. As a Fisheries Officer you will be a part of a professional team of people who share a passion for the industry. The wide variety of tasks involved with being a Fisheries Officer can provide for a challenging and satisfying career. What hours do Fisheries Officers work? Most fishing activity occurs outside of normal business hours. Because of this Fisheries Officers are designated shift workers and are required to work a monthly roster with a large proportion of early morning and afternoon shifts, weekends and public holidays. Officers can be subjected to long working hours at odd times. 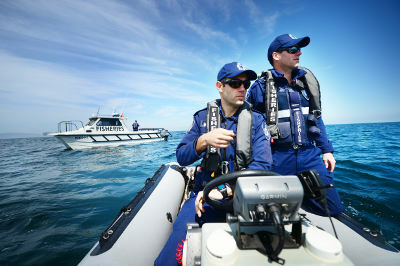 They may be recalled to duty at any time of the day or night and on weekends and public holidays to respond to complaints or reports of illegal fishing activities. Officers are required to work a minimum number of shifts, weekend and public holidays for the year. The Victorian Fisheries Authority works with staff to promote a positive work/life balance and provides opportunities to staff for flexible work conditions, maternity and paternity leave provisions and part-time arrangements, subject to operational requirements and staffing levels at the station. Fisheries officers may also be required to camp overnight in remote locations for several days. Travel and overnight accommodation may be required when working at different locations or on major operations. Fisheries Officers are eligible for additional allowances for working shift work, duties at sea or for working in remote areas. - Sitting or lying in a static position for a number of hours during surveillance operations. All successful applicants will be required to pass a physical and medical assessment prior to appointment to ensure that they are able to meet the requirements of the job. - Vision screening – near, distant and colour vision testing. Colour vision testing is required to ensure that potential employees meet marine safety qualification requirements. As a large proportion of a Fisheries officer's working day may be based on or next to water, swimming ability is a key requirement of this position. The Department therefore requires all prospective employees to undertake a swimming assessment prior to appointment. This ensures that Fisheries Officers are able to survive in the water in the event of a boating or water accident and that they are able to rescue others if the need arose. Australian citizenship, permanent residency visa or appropriate visa. Security screening - including National Police Check, completion of Victorian Public Service declaration of private interests form and statutory declaration. Tertiary qualification in a relevant field including but not limited to; natural resource management, science, fisheries, criminal justice/criminology, or law . Scuba diving or snorkelling certificate or experience. Entry into this occupation is very competitive; this is because it is a specialised and unique role and there are a limited number of positions across the state. 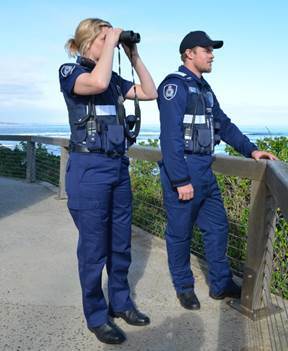 Successful candidates undertake a 10 week live-in training course at Queenscliff at the commencement of their career. This course provides trainees with the necessary skills and knowledge required to commence their role as an authorised officer. The ability to manage confronting situations through negotiation and resolution is an important skill required of Fisheries Officers so training is provided to develop these and other communication skills. Officers are issued with and required to carry and maintain defensive equipment including Oleoresin Capsicum spray, baton and handcuffs. They receive regular ongoing training in the use and safe custody of these items. The Victorian Fisheries Authority run a recruitment process when there are a number of Fisheries Officer vacancies identified - in the past this has been every 2-3 years. The last recruitment process was run in May 2018. Fisheries Officer careers are advertised on careers.vic.gov.au. Applicants for fisheries officer positions should be flexible when nominating their work location preferences as we cannot guarantee that you will end up in your preferred location if you are successful.